I’m trying to get in the Christmas spirit, but haven’t had much luck lately. 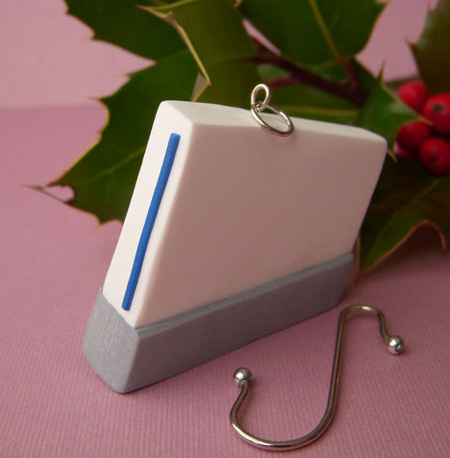 Oddly enough, these geeky little Christmas ornaments may have helped perk up the spirits a bit, considering I have actually had two of them dangle from my own tree. 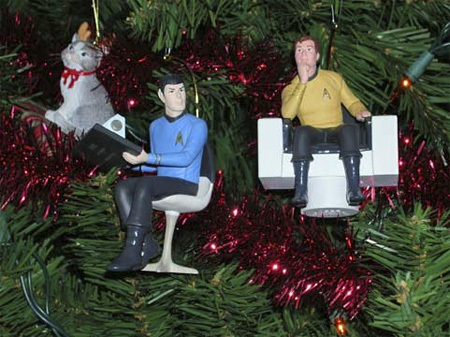 Yep, Newscoma has the Captain Kirk and Dr. Spock ornaments. 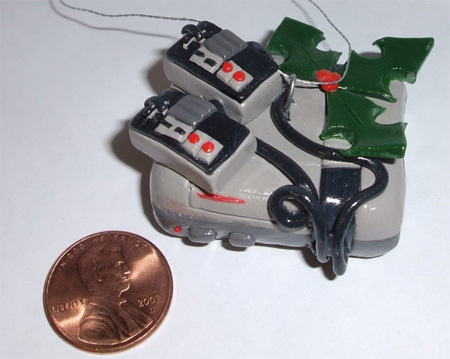 It seems, there are ornaments for all sorts of gamers out there too. to the Wii can dangle from your Douglas Fir. 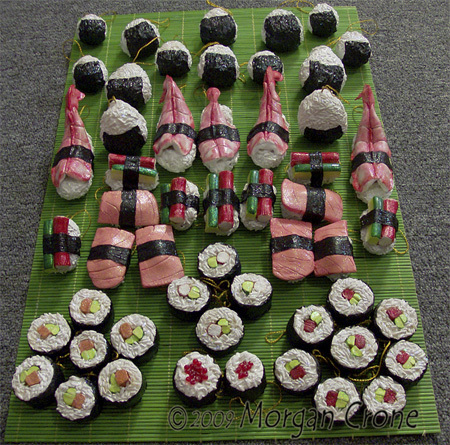 And who needs fruit cake (even an inflatable fruit cake) when there are sushi ornaments available. In case you hadn’t noticed from some of my recent posts, the falling leaves have put me in a Halloween sort of mood. Here’s another one for you. The Pumpkin Gutter is one fun artist. He even creates your not-so-basic creepy faces. There are tons more cool jackolanterns of animals, historical and political figures and just the unusual weirdness in the galleries on his site. For more creepy pumpkin links, here’s a pumpkin carving post from last year.